St Benedict’s has a well-equipped, computerised library from which all students may borrow each week. We ask that all students have a library bag to protect their books. There is borrowing each Thursday and parents are encouraged to show an interest in the books their child borrows. Students also participate in formal library lessons each Monday, Tuesday and alternate Fridays. The library is open at 11.40am for students to visit at lunch times on these days. Ashton Scholastic Book Club operates within the school, providing families with the opportunity to purchase books and encourage reading at home. 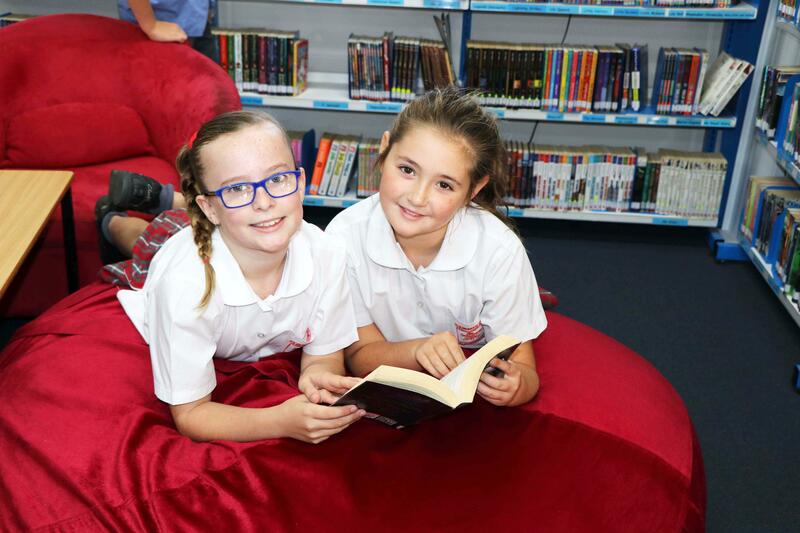 A Book Fair is held throughout the year giving students, parents and friends the opportunity to purchase quality books at very reasonable prices. Commission earned through the sale of the books provides valuable new resources for our library and classrooms. Students participate in the annual Premier’s Reading Challenge, encouraging them to read a wide variety of specially selected books. If students reach their target, they will receive a special certificate from the NSW Premier. Each class has one library lesson each week, usually working on projects or activities related to a current unit of study, whilst enhancing their research, report writing and library skills. Book studies focus on the shortlisted books of the yearly Children’s Book Council of Australia Annual Awards. Each year in August the school recognises Book Week, where we celebrate with a special event such as a Book Week Costume Parade or a special presentation by a visiting author, magician or theatre group. The school library is decorated to match the theme of Book Week.